With so many coffee blends on the market these days, one measly modest house brew simply won’t keep your customers or employees satisfied. Tempt their taste buds and keep them coming back for more by providing a range of coffees with a variety of specific flavor profiles. Tucked away in their secret, state-of-the-art research and development laboratory, The Java Geniuses are hard at work coming up with new innovations to achieve the best coffee for your employees or customers. Our crafty caffeine experts recognize your need to have a coffee station stocked with a range of popular coffee flavors. 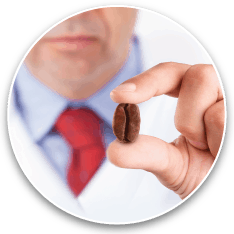 Through proven scientific methods, they replicate any coffee flavor you might desire. Whether you want coffee that’s bright and briny, bitter and earthy or spicy and sweet, The Java Geniuses perfect formulas to supply you with superior coffee blends. We’re also masters at creating uncommon grounds customized to the taste preferences of your customers or employees. Make up a custom coffee blend and give it a name … ingenious! Specialized testing process allows The Java Geniuses to reproduce the taste of your customers’ or employees’ favorite flavors and brands. We work day and night to create unique new coffee blends, even going so far as to formulate your very own branded blends based on your customer/employee taste preferences. From thermal options to unique coffee enhancers (sweeteners, flavored syrups), The Java Geniuses are always coming up with new ways to deliver the best possible cup of coffee. 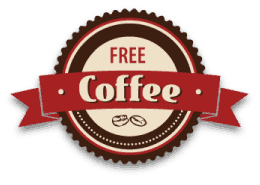 Seven-day free trials with follow-up surveys to identify the most popular blends at your location. Energize your employees or entice more customers with superior custom coffee blends by The Java Geniuses. Are you looking for ways to create channels of communication and increase workplace satisfaction? Statistics show that when you provide a boost to your office coffee services through a variety of custom coffee blends and gourmet coffee selections, your employees feel more valued and work harder for the company’s growth and financial strength.